WikiMedia Foundation - [Wikimedia-l] Farewell, Erik! celebration of what Erik has represented for the Wikimedia movement. which—as friends—we are ready to turn a blind eye towards. being, and I am grateful we shared some of this journey together. Re: [Wikimedia-l] [Analytics] Farewell, Erik! Thanks for your work, Erik. I hope that we will see you in the future. guess from my username, I like what you chose for your next project. able to accurately summarize it anyway. usually the ones I most looked forward to. > Thanks for your work, Erik. I hope that we will see you in the future. > guess from my username, I like what you chose for your next project. From the early days until now, your quiet leadership and excellence have been a great credit to the organization and most importantly, your leadership by example has been an inspiration to untold numbers of people. But, actually, it’s not untold numbers because of your work! You tell it with numbers. All the best in your next chapter. Thank you so much for your work! > able to accurately summarize it anyway. > usually the ones I most looked forward to. >> Thanks for your work, Erik. I hope that we will see you in the future. >> guess from my username, I like what you chose for your next project. amazing, stunning, and above all: enlightening. 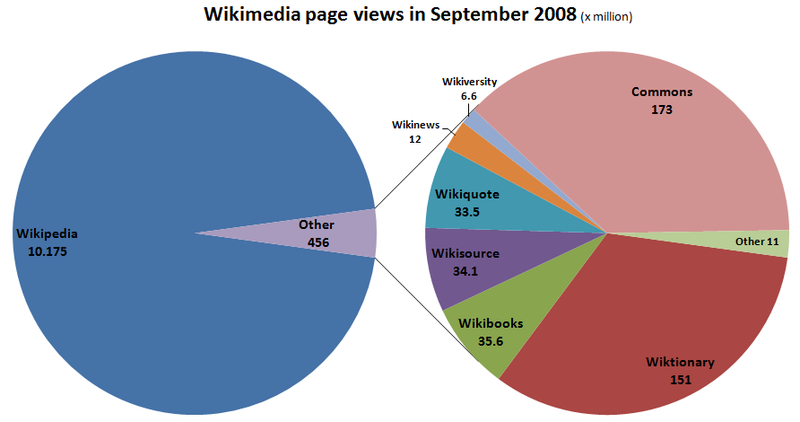 I've spent countless hours digging through Wikistats in awe. > celebration of what Erik has represented for the Wikimedia movement. > which—as friends—we are ready to turn a blind eye towards. > being, and I am grateful we shared some of this journey together. stood for (or at least I can say that I will continue to try:). Enjoy your new endeavors and see you around. > amazing, stunning, and above all: enlightening. > I've spent countless hours digging through Wikistats in awe. > > celebration of what Erik has represented for the Wikimedia movement. > > most needed it. > > which—as friends—we are ready to turn a blind eye towards. > > being, and I am grateful we shared some of this journey together. without saying that Erik was an exemplary colleague, and a true gentleman. > world, but also to the open data movement in general, has been incredible. > I hope the future historians will notice this. > Thanks Erik. Your new project looks very interesting. found surprising. What type of modesty you guys were talking about? this within WMF but failed to bring this to fruition. My bad." we knew we could turn to you. I hope to see you at many WMNL-events in the future. > found surprising. What type of modesty you guys were talking about? > this within WMF but failed to bring this to fruition. My bad." > > historians learned a lot from graffiti on walls of classic Pompei. > we knew we could turn to you. > I hope to see you at many WMNL-events in the future. > > found surprising. What type of modesty you guys were talking about? > > this within WMF but failed to bring this to fruition. My bad." > > > historians learned a lot from graffiti on walls of classic Pompei. > > > celebration of what Erik has represented for the Wikimedia movement. > > > most needed it. > > > center of his attention. He coined metrics such as "active editors"
> > > which—as friends—we are ready to turn a blind eye towards. > > > being, and I am grateful we shared some of this journey together. of your work to help us become a more transparent organization. > > we knew we could turn to you. > > I hope to see you at many WMNL-events in the future. > > Enjoy the freedom! > > > found surprising. What type of modesty you guys were talking about? > > > this within WMF but failed to bring this to fruition. My bad." > > > > historians learned a lot from graffiti on walls of classic Pompei. > > > > celebration of what Erik has represented for the Wikimedia movement. > > > > most needed it. > > > > center of his attention. He coined metrics such as "active editors"
> > > > which—as friends—we are ready to turn a blind eye towards. > > > > being, and I am grateful we shared some of this journey together. > > > > Trove". From one Erik to another - my best wishes! breathes by showing its patterns and rhythms. > breathes by showing its patterns and rhythms.